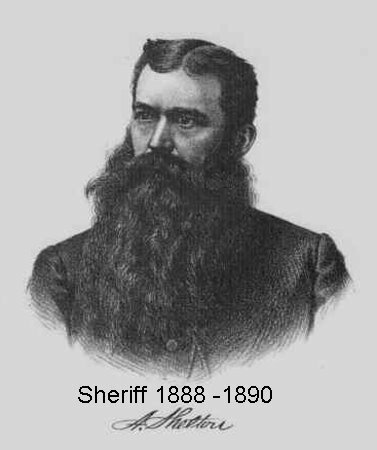 Azariah Shelton was Sheriff of Hamilton County Tennessee from 1888-1890. Azariah is pictured above. More info: 1878 Azariah Shelton was elected county superintendent of public instruction. During his four-year term as school superintendent, he built thirty-two county school buildings and helped to organize the first Teachers Institution. These achievements marked Shelton as a pioneer school builder. Over his forty-two year career as a public servant, Shelton held various offices for county government. 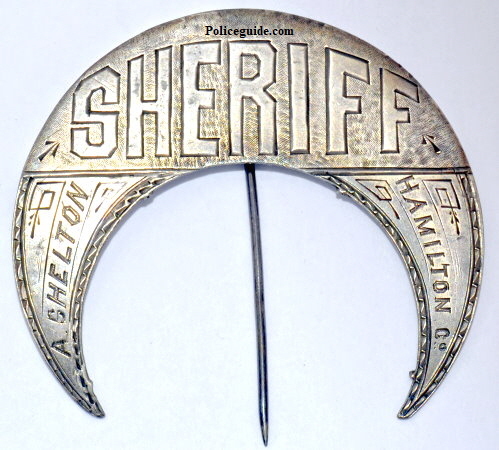 He was elected sheriff of Hamilton County in 1888 and served until 1890. After completing his two-year term as sheriff he served as county court clerk until 1894 when he became the county representative in the state legislature. From 1900 to 1904, Shelton served as superintendent of the county poorhouse and then became chief deputy tax assessor until 1920. In 1920, at age 73, Shelton was designated as dean of local men in public service. Memphis Police #162 made by C. H. Hansen Chicago, IL. This is the 2nd series Memphis badge first issued in 1912. 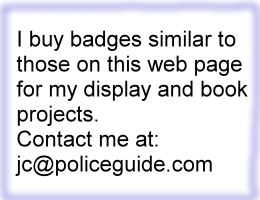 Memphis, TN police officer wearing "pie plate" style six point star. Photographers hallmark stamped Bingham & Hilliard Memphis, Tenn.
Memphis Police #219 made by C. H. Hansen Chicago, IL. 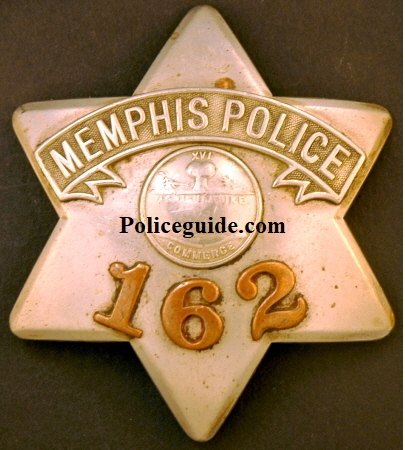 This is the 2nd series Memphis badge first issued in 1912. 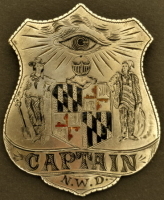 Pulaski Marshal badge hallmarked Durys Nashville. 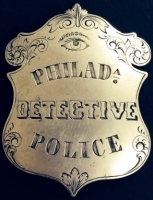 2nd issue Chattanooga Police badge issued 1909. Memphis, TN police officer wearing "pie plate" style six point star. Photographers hallmark stamped Bingham. Memphis, TN police officer wearing "Chicago Style pie plate" six point star. Photographers hallmark stamped Gaston Park.